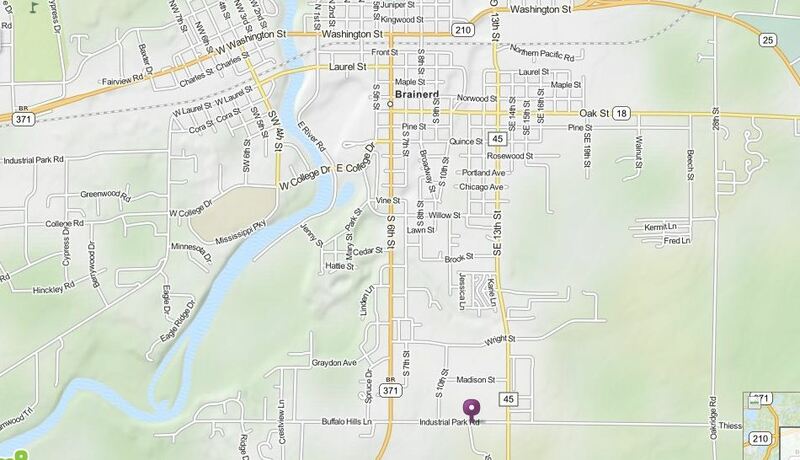 Our Brainerd office is located on Industrial Park Road which is in the southeast corner of Brainerd, MN. From the South: Go North on old Highway 371 until you come to a stoplight at the intersection of Hwy 371 and Industrial Part Road. Take a right onto Industrial Park Road. Travel for approximately one mile. We are located on the south side of the street. You will see our office building shown below. From the North: Go South on South 6th Street until you come to a stoplight at the intersection of South 6th Street and Industrial Part Road. Take a left onto Industrial Park Road. Travel for approximately one mile. We are located on the south side of the street. You will see our office building shown below. To view a map click Get Map. Our St. 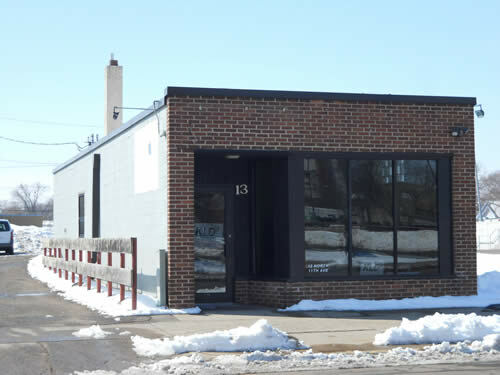 Cloud office is located on North 13th Avenue which is 6 blocks west of the Mississippi River. This puts us about two blocks north of Lake George but still in the downtown St. Cloud business district. Traveling East on Division Street (Hwy 23) in St. Cloud to the signal lights at 14th Avenue S. Take a left on 14th Avenue S. and travel North for one block to West St. Germain Street. Take a right and travel for 3 blocks on West St. Germain Street to 11th Avenue N. Turn left and travel one-half block on 11th Avenue N. We are located on the west side of the street across from the US Bank building. You will see our office building to your left as shown above. Traveling West on Division Street (Hwy 23) in St. Cloud until you cross the Mississippi river. Remain on Division Street (TH 23) until you get to 12th Avenue So. Take a right on 12th Avenue S. and travel North for one block to West St. Germain Street. Take a right and travel for 1 block on West St. Germain Street to 11th Avenue N. Turn left and travel one-half block on 11th Avenue N. We are located on the west side of the street across from the US Bank building. 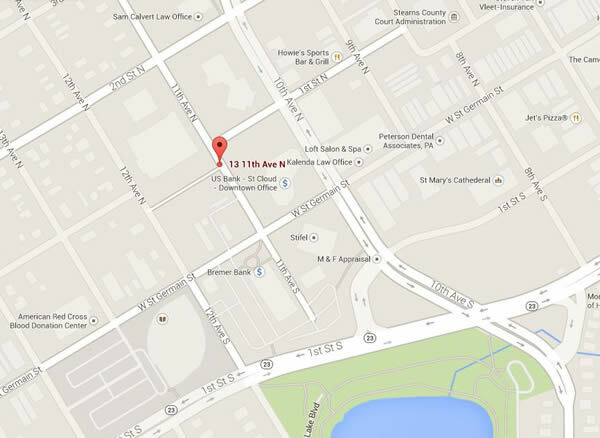 You will see our office building to your left as shown above.